May 5 is World Password Day (#PasswordDay), an annual effort to encourage safe password practices. This year’s theme is multi-factor authentication (MFA) – also called two-factor authentication (2FA) or two-step verification – which allows you to add an extra layer of security to your online activities. 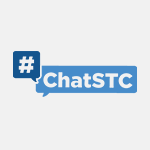 This #ChatSTC Twitter chat discussed multi-factor authentication and how you can keep your online accounts safer and more secure.